often relegated to the role of driver and mechanic. He tended to be the 'every-man' character' and often the voice of reason. The first cartoon series, The Real Ghostbusters, lasted 8 seasons. 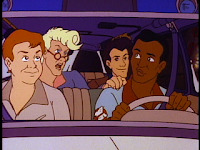 During the first 3 seasons, Winston was voiced by Arsenio Hall. During seasons 4 through 7, he was voiced by Buster Jones. 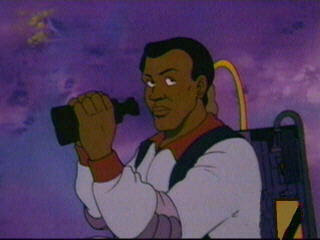 The Extreme Ghostbusters series lasted only one season. The character of Winston was voiced, once again, by Buster Jones. 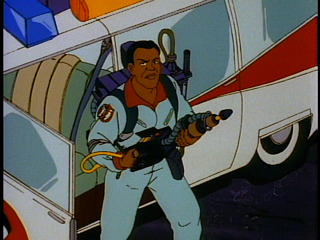 In Ghostbusters the video game, the character was voiced by the actor who originally played him in the movie, Ernie Hudson. There have also been multiple action figures made and sold in the Winston's likeness. Believe it or not, in the original script for the Movie, Winston Zeddemore was supposed to be smarter and more capable that the other Ghostbusters with multiple degrees and a stint in the Marines. Too bad it didn't turn out that way in the final presentation. What a shame how they disfigured the character for his race. I refuse to accept that systematic perversion in the animation industry. I am an animator and filmmaker, and my Movie Ivory Bishop starts with animation. I shall take note what you share here, Powerful Blog! Thanks for sharing.